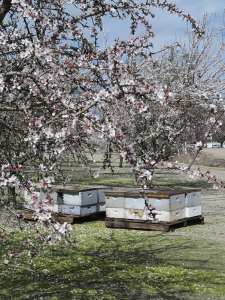 Interest in honey bees and beekeeping in the U.S. has never been greater. Despite increased interest in the plight of honey bees and wild pollinators, political decisions addressing and mitigating the actual causes of pollinator decline have been limited. 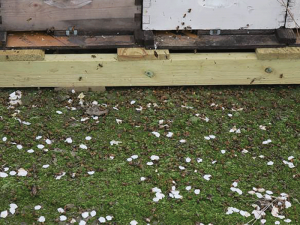 In Part 1 of The Politics of Killing Bees articles (Feb. 2016 Bee Culture), the role of abundant clean forage was opened for consideration and political action. Abundant, or merely enough, beneficial and clean forage usually means accepting the critical role of non-native plant species. Part 2 of The Politics of Killing Bees will explore the collision course between the suppression of pest insects and harm to beneficial insects with chemical remedies. There is currently a headlong retreat from Integrated Pest Management (IPM) with pervasive use of seed coatings of systemic pesticides. There will be a discussion of the Environmental Protection Agency’s (EPA’s) somewhat limited charge of registering and labeling the chemicals. Europeans brought honey bees to North America in the early 1600s. These colonists brought seeds to grow forage for bees as well as agricultural seeds and plants for their own nutrition and other benefits. As late nineteenth and twentieth century agriculture moved toward the cultivation of monoculture crops, pollination by bees for pay became a necessity. Beneficial insects and pest insects are harmed in the same way by the same chemicals. All insects are attracted to flowers and fruit by the sugar and protein content of the nectar and pollen of the ripening cherry, apple, pear, etc. People grow these foods because we like nutrients too. Ironically the chemicals used to prevent pest harm in the growing cycle to the nut or fruit also kill the pollinator required to produce the product. In the 1890s apple growers needed to discourage, if not kill off, the coddling moth – an insect whose larvae burrow into fruit, eat for three or four weeks, then emerge to pupate and return to the moth form, which then lays eggs on the apple or other fruit tree to continue the cycle, year after year. 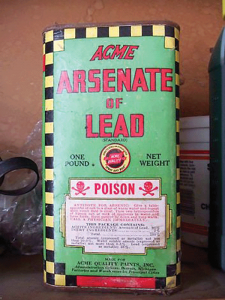 Lead arsenate was the chemical of choice to kill these insects until resistance to it developed. 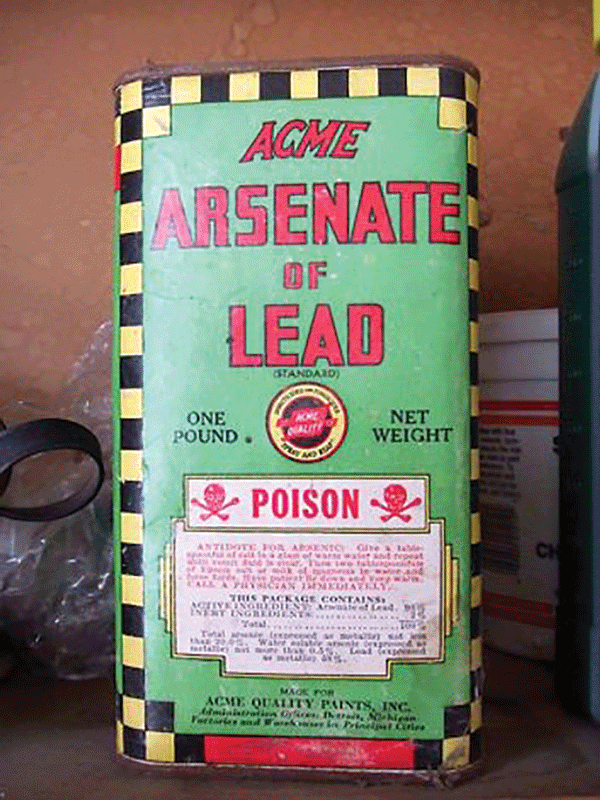 Lead arsenate causes multi-system organ failure by interfering with basic cellular processes. Some tracts of land that have been used as orchards for decades currently have so much lead arsenate present in the soils that the land is unfit for human dwellings and habitation. In the late 1930s, after resistance to lead arsenate was noted, and when DDT’s insecticidal characteristics were uncovered, growers began using DDT, an organo-chloride that had been first synthesized in 1874. DDT interferes with nerve function, causing tremors, convulsions and the cessation of basic cellular process in insects and mammals. It is absorbed very easily through the exoskeletons of insects. 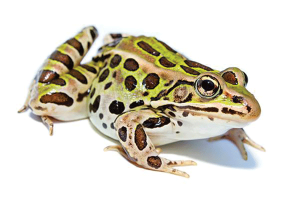 The devastating wake of DDT use was observed in avian populations, in fish near the sites of application or in run-off, in amphibians (primarily frogs) as well as in all insects. This was an inspiration for the book Silent Spring by Rachael Carson in the early 60s. This book changed lives, viewpoints, and was the wakeup call that created many environmental activists. The banning of DDT in 1972 was an early test case for the newly created Federal Environmental Protection Agency. 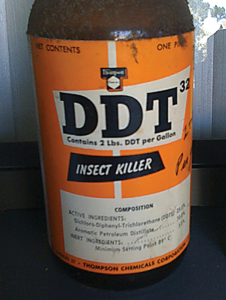 DDT is still manufactured in the U.S.A., and exported to Africa and South America. It may be allowed again in the U.S. to combat the mosquitoes carrying the Zika virus. The next major insecticide to be developed was Carbryl, a.k.a. Sevin, in 1958. Carbryl is still one of the most popular insecticides in the world. It interferes with neurotransmitters mostly in the brain and brain stem of the insect, causing death by attacking nerve function. Carbryl is not as harmful to mammals as the earlier insecticides so has not yet been banned in the U.S. and is used commercially in forestry, ranching, agriculture and by home gardeners. Concurrently the thions (organophosphates) were developed, registered and marketed as insecticides. During WW2, the Germans developed parathion. At the end of that war, that patent was stolen from the war devastated Germans and its manufacture began in the U.S. This chemical is absorbed through the skin, mucous membranes and orally. It causes headaches, convulsions and generally disrupts the nervous system causing unconsciousness, usually with lung-edema ending its host’s life in respiratory arrest. In Europe it is still a drug of choice for suicide and of course is very toxic to insects, fish and wildlife. It is banned or restricted in 23 countries with import bans in an additional 50 countries. Malathion has low human toxicity, though it does induce DNA and chromosomal damage in humans (see the article: Carcogenicity of tetrachlorvinphos, parathion, malathion, diazinon, and glycosphate: on behalf of the International Agency for Research on Cancer Monograph Working Group, Lyon France, Published 20 March 2015). This chemical is deadly to bees, mosquitoes, fruit flies and any other insect. It is used against mosquito born diseases, head lice in humans and was added to corn syrup in the 1980’s to bait and kill Mediterranean fruit flies in California. Obviously it killed any insect that was attracted to corn syrup because the poison works on all insects. It attacks nerve synapse so nerve signals never stop firing. The insect cannot move or breathe and so convulses to death. Currently the most commonly used insecticides are the neonicotinoids (neonics). The neonicotinoid family includes acetamiprid, clothianidin, imidacloprid, nitenpyram, nithiazine, thiacloprid and thiamethoxam (trade name Actara). They are called neonics because of their molecular resemblance to nicotine, a natural insecticide synthesized by the tobacco plant to protect itself. Neonics are key ingredients of seed coatings and can also be applied by foliar sprays and by drenching. The difference between neonic pesticides and most other previously used chemicals is that neonics are systemic, meaning they are absorbed by the plant. The half-life of neonics in soils exceeds one thousand days so repeated applications can lead to off label build-ups and toxicity. There is usually runoff into water systems, which are used for irrigation, drinking and other uses natural to humans. Neonics affect the nerve functions of insects with particular efficacy against sucking insects and exhibit long residual activity in the host plant and in the soil. Insect targets and beneficials are also exposed through direct contact with dust during the drilling for planting, and consumption of contaminated pollen and nectar from crops and in wildflowers and trees growing near treated crops. Neonics are used as prophylactic applications. They are present whether or not pest insects are present, and are therefore always present when beneficial insects are present. The worst is yet to come. Neonics are pervasive in our environment because of their use as seed coatings. Recognizing and understanding this basic fact is key in the politics of killing bees. 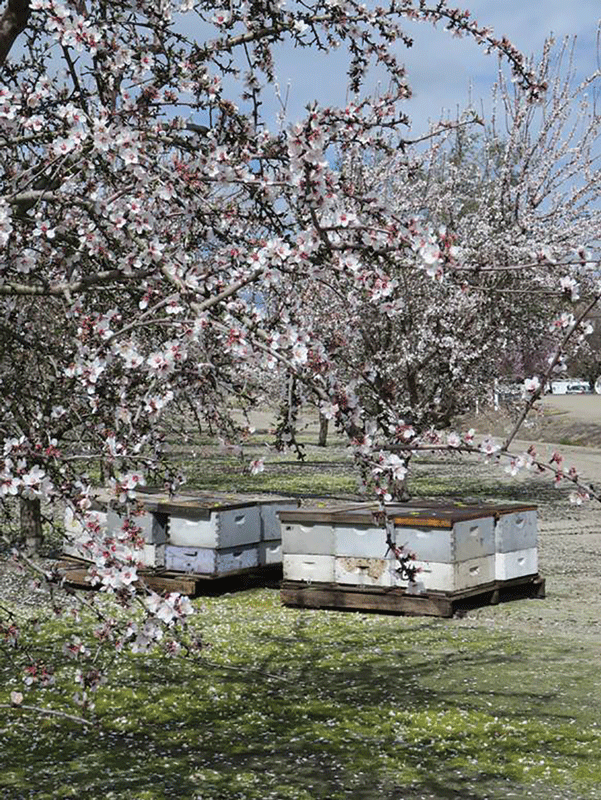 Crop pollination for pay on crops, like almonds, apples, blueberries, cranberries, squashes and melons, has always posed risk of pesticide and fungicide exposure to the pollinators. Beekeepers have always assumed that some harm would come to their insects (honey bees, bumblebees, Mason or horn-faced bees) during any pollination work. Over the past 12 or 13 years, from 2005 to present, seed coatings on corn have increased to 80% – 100%, and in soybeans coated seeds are up to 45% of all that is planted. These crops blanket over 190 million acres. Neonic coated seeds were recently discovered on the seed in bags distributed by the Pheasants Forever – a conservation group which is trying to help the honey bee industry, wild bees and butterflies by providing safe, pesticide-free, wildflower forage on their lands and to those people buying their seeds. To summarize, it is hard and getting harder for beneficial insects to escape the reach of neonic remedies. And it is hard and getting harder to buy seed that is not treated with neonics. In the world of agriculture, honey bees need their interests and lives defended. Currently the beekeeper has the burden to prove harm to his colonies. 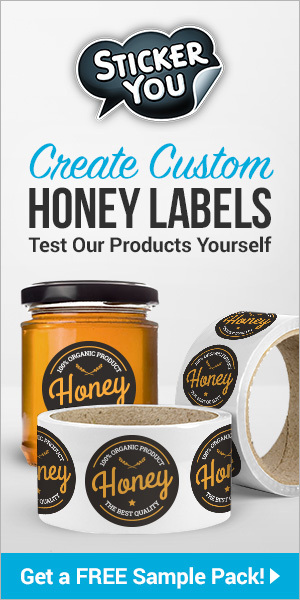 The chemical companies do not currently have a burden to prove “no harm” to bees, all the while conclusively proving harm and death to target pest insects. That concept is the fulcrum of this article about the Politics of Killing Bees. Idyllic and dangerous for insects. In 1970 there were approximately 5,000,000 (five million) colonies of bees in the U.S. In 2016 the USDA recorded a bit more than 2.6 million colonies of bees. At the moment, there is incredible interest in bees and beekeeping likely being stimulated by all the press and chatter about CCD. This current pattern of decrease in numbers of colonies is unacceptable. Political action is required now. The EPA (Environmental Protection Agency) was created in 1970 by executive order of the Nixon administration. The agency conducts environmental assessment, research, and education. It has the responsibility of maintaining and enforcing national standards under a variety of environmental laws, in consultation with state, tribal, and local governments. It delegates some permitting, monitoring and enforcement responsibility to the States and the Federally Recognized Tribes. EPA enforcement powers include fines, sanctions, and other measures. The agency also works with industries and all levels of government in a wide variety of voluntary pollution prevention programs and energy conservation efforts. Early examples of actions involving EPA action include banning DDT and resolution of the pollution surrounding the Love Canal in Niagara Falls, New York in the late 70s. Death for pollinators on the job. The focus of the EPA is to protect human health and the environment. Over the nearly 50 years of its existence the agency has grown to employ over 15,000 people with an annual budget in excess of 8.5 billion dollars (2016). Among the wide variety of regulatory powers encompassed by EPA is responsibility for review and registration of pesticides and fungicides. This includes insecticides and fungicides registered since the early seventies. The problem with many of the older materials was their possible carcinogenic effects as well as relatively slow rate of decay in the environment. The EPA approved these materials (i.e. the thions, organophosphates etc.) with certain restrictions despite drawbacks probably because of political pressures by the registrant, by farmers and by the bureaucratic system. There may not have been safer alternatives, so the risk analysis was conducted inter agency. 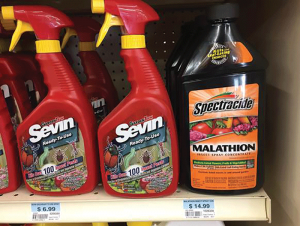 The problem is that despite label restrictions regarding application during blooming periods of crops, many of these materials, such as Sevin (carbaryl), on corn result in severe and lethal exposure to the beneficial insects. In spite of their lethal effects, these materials were applied externally to the plant tissues by aerial, tank or irrigation sprinkler systems, and honey bees were exposed to the chemicals mostly during crop pollination for pay. This changed in the early 1990s. Neonicotinoid insecticides represent a class of insecticides so named because of their chemical resemblance to nicotine, a natural insecticide produced by the tobacco plant. Though the chemical bears a structural resemblance to natural nicotine, the manufactured products are up to 10,000 times more toxic than nicotine. As with previous submissions to the EPA, neonic efficacy studies are put together by the registrant and kept confidential for commercial reasons. The relatively low toxicity of these materials to mammals and humans facilitated their registration. Remember, the EPA works first to discover and mitigate environmental harms to humans. The use of these chemicals proceeded slowly from their dates of registration till 2005-06. Then their use as seed coatings skyrocketed to approximately 90% of all seeds planted in the U.S. today. Use of these insecticides as seed coatings runs contrary to all principals of integrated pest management as developed in the 1980s. Prophylactic applications like this harm all insects, and cause harmful, unanticipated buildup of toxins in the soils used for agriculture. Period. If coated seeds are a common denominator for 90% of the seeds planted in this country, it follows that corn pollen is a common denominator exposing pollinators to neonic contaminated pollen. There are millions of acres of corn planted throughout the primary habitat of honey bees and wild pollinators. There are some in agriculture and in the scientific community who will argue that the amount of corn pollen collected by honey bees is insignificant. Others may say that bees don’t use corn pollen because of its poor nutritional value. A large commercial beekeeper has supplied the following facts: he trapped pollen during the Summers of 2015 and 2016 from his bees. When corn was blooming, 40% of the pollen collected in the traps was from corn (USDA verified). 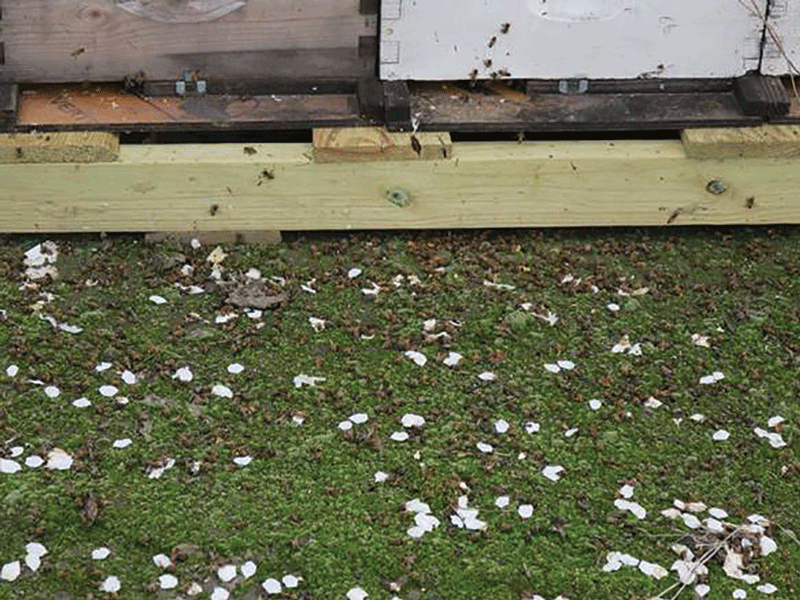 From years of experience and observation, he suggests that multiple feedings of low level neonics embedded in pollen may be the cause of queen failure, and queen failure is a major topic in any discussion of the causes of colony collapse disorder. As to the insignificance of the “low levels “of neonics present in corn pollen, it is important to note that this same beekeeper operates in some areas where corn is not produced. He has kept bees for 50 years, and he currently has 30,000 colonies, allowing him to make these observations with confidence as he sees trends in the large numbers of his outfit. The possible effects of neonic insecticides have received worldwide recognition. While the actual causes of CCD, discovered in 2007, continues to be a subject of debate, the recognition of the potential damage to honey bee and wild bee populations due to exposure to neonic insecticides is obvious. Numerous scientific articles and studies have been written since 2007 and as a result the EPA has agreed to review certain aspects of registration of these chemicals, which may lead to new labeling requirements. But will the EPA curb the prophylactic use of these materials as universal seed treatments? The coated seeds are planted in so many acres whether the chemicals are necessary or not, and in total disregard for the principals of integrated pest management. Can beekeepers and friends of pollinators push back effectively, or will the political power of the chemical industries prevail? My point? Don’t give up. More importantly, make sure that there is adequate press, agricultural co-operative and social media exposure of these issues. Rally environmentalists, beekeepers, and anyone concerned about safe forage for pollinators and safe food for humans to expose the risks and potential harms from chemical interventions in agriculture. (Interesting footnote: A recent study has implicated acetamiprid (a neonic) as a cause of erectile dysfunction in human males. “Potential pathways of pesticide action on erectile function – A contributory factor in male infertility”. Asian Pacific Journal of Reproduction. 4: 322–330.) Why include this last thought? It got your attention. You’ll remember it. So, I ask you to do what it takes. Change how people think. Ask the EPA to move the burden of proof to the chemical companies to prove safety for beneficial insects, and stop asking the beekeeper to prove harm. 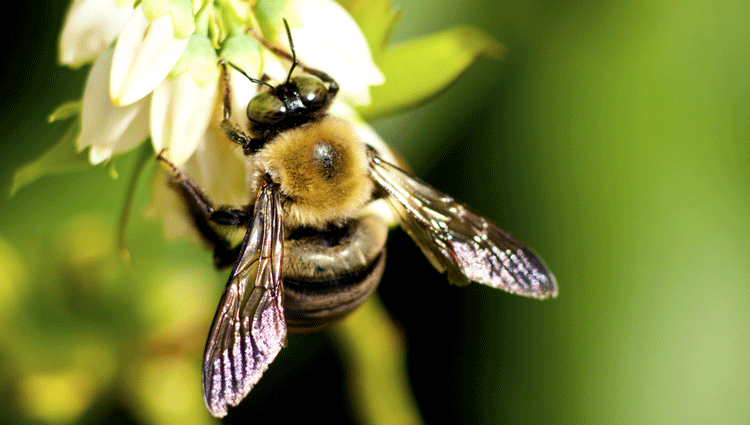 EPA.gov has many sections, including How We Assess Risks to Pollinators, History of EPA, Registration of various chemicals, Pollinator Protection, management practices, Pesticides, Pesticide Registration, Colony Collapse Disorder. I would encourage the reader to watch the dates of the publications, and to remember that the EPA has no enforcement powers – the EPA is a Federal bureaucracy. Look up and at various sales pitches for corn seed, soybean seed, etc. They link to various other papers and studies. I made a list of chemicals that beekeepers have encountered and suffered losses from during pollination contracts – pesticides, herbicides, fungicides – and then went to the websites of the chemical companies and the EPA to see how the companies described the effects of their chemicals, and how the EPA listened to the chemical companies and used their information. What I Learned In Cuba! 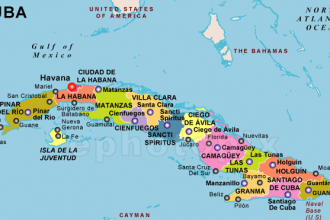 By: Malcolm Sanford Jose Martí airport was more modern than I expected. It differed in two ways from others….